Simple SPI serial output temperature. 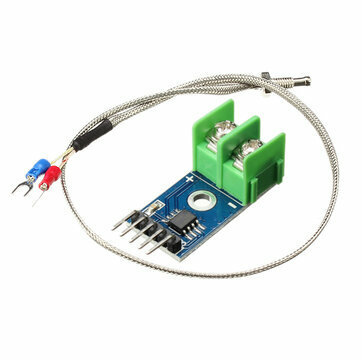 Temperature range: 0 ℃ ~ 1024 ℃, the converter temperature resolution: 0.25 ° C.
Wide operating voltage range: 3. 0 ~ 5. 5V, operating current: 50mA. Operating temperature range: -20 ℃ ~ 85 ℃.